Born at 23 weeks, her sister died, and she lived. 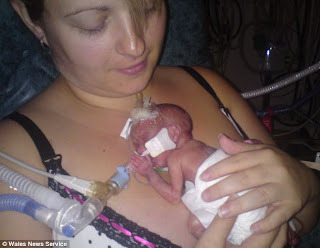 She will probably have major health and psychological problems but she is alive. What an ethical dilemma for the doctors! So often I hear about how womb twins can't speak their truth, making them feel left out by society when they already feel left behind by their twin. Which is why I love to bring up the subject of womb twin surviving as much as possible! Recently, I was at a cool social event in New York City. Given the long winter, everyone was busting out for some fun. The men were crowding around the pretty ladies to talk to them/us. I met a model-type who told me she was studying child psychology at NYU. I instantly became excited, telling her all about WTS which she would no doubt be treating in the children of the future. She was so fascinated to hear about this, as I pulled my womb twin business cards out, that I became more animated and our excitement couldn't be contained. Soon, there was a feeding frenzy of men asking what we were so excited about. In the funnest tone (and loud enough to be heard over the music) I said "Twins are dying in the womb and leaving their living twins behind, we help them heal" (it's fun to shout my truth from the rooftop!) Although I was prepared for the usual type reaction, to my surprise everyone became animated and wanted to get in on the action! (this may have had something to do with my contagious excitement in delivery) As they gobbled up my business cards, one man said "I was a twin, she died when we were born!" 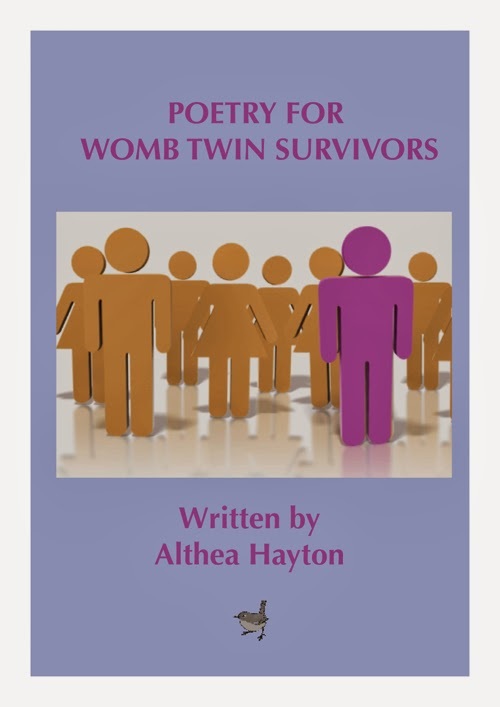 Althea's image of the "1 in 10" people came to mind - it felt like I had gone fishing into a pool of 10 people and caught the 1 womb twin survivor. Now when I ride the train or walk in a crowd, I try to pick out the 1 in 10 as an interesting exercise just to feel the scope of 'not being alone' with this syndrome. In talking with my new womb twin friend, it seems he has been happy with his life and has not missed his twin. He knows everyone is where they need to be and never had any sadness about it. Now this is a rarity! I must hear more...stay tuned to the wombtwin US blog www.wombtwin-us.blogspot.com for an interview with him. This gives new meaning to the term "pick up line" - go reel them in!! Der Zwilling macht sich wieder mal bemerkbar oder zumindest die Symptome aufgrund dessen. Wieder einmal bin ich rastlos, auf der Suche nach etwas, wie unter Zwang, kann nicht aufhören. Nur was ich wohl eigentlich suche, respektive was sich dahinter versteckt, werde nie finden, nie ein Erfolgserlebnis diesbezüglich erleben, sondern immer am Ende völlig ausgelaugt dastehen. Eigentlich habe ich ein Computersystem gesucht, aber mit solch einer Intensität dass ich rundherum nicht mehr viel wahrnahm. Ne Stunde hätte gereicht um das System zu testen, aber nein es hat sich wieder alles vermischt, vermischt mit der Suche nach dem Zwilling und so bin ich den ganzen Samstag und Sonntag ausser kurzen Momenten wie fiebernd am Pc gesessen und habe System um System getestet. Völlig ko bin ich gestern Abend dann wie erwacht aus diesem Suchfieber und danach ging es mir auf gut deutsch beschissen, weil ich feststellte dass ich soviel Zeit darin investiert und darüber das Wochenende vergangen ist. Ja, das erlebe ich immer wieder, es kann auch die Suche nach was ganz anderem sein was sich dann vermischt, unbewusst vermischt mit der Suche nach meiner anderen verloren Hälfte, eine Hälfte ohne die es mich oft fast zerreißt und man kann nichts tun dagegen . Elvis Presley was born on January 8, 1935, in Tupelo, Mississippi, to 18-year-old Vernon Elvis and 22-year-old Gladys Love Presley. In the two-room shotgun house built by his father in readiness for the birth, Jesse Garon Presley, his identical twin brother, was delivered 35 minutes before him, stillborn. As an only child, Presley became close to both parents and formed an unusually tight bond with his mother. Always trying to find "that connection"
Obstacles: Stories of Twin Loss (Trailer 2) from Tim Labonte on Vimeo. This is very interesting: this is what wombtwins feel and live through their lives without knowing why: Who are we missing? why do we grieve? why do we cry? why do we live in pain? why do we feel uncomplete? We have no way to know, we just think that we must be "nuts"... don't we?